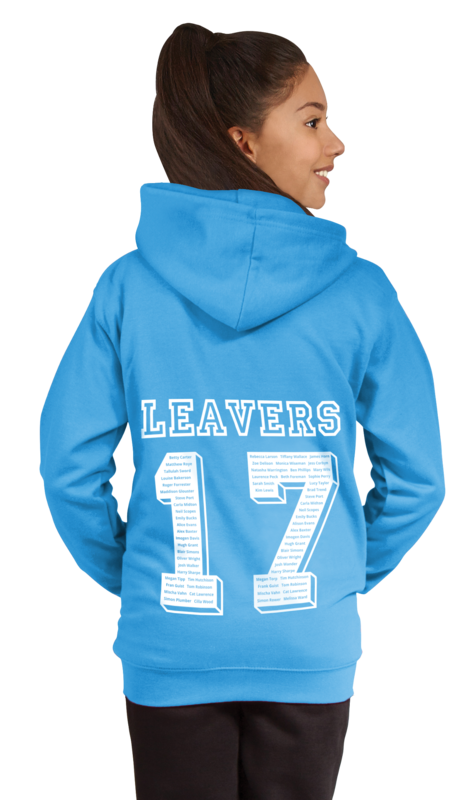 This year, why not give your students a lasting memento with our fantastic leavers range? Choose high quality and long lasting Hoodies, T-Shirts and Zoodies - all available in a vast array of colours. These garments are a fitting reminder of your student’s time spent at your school. We have a huge range of designs to choose from, all of which can be viewed on our website. However, should you already have your own design in mind, give us a call and we would be delighted to discuss your requirements. Order early and allow your students to wear their fantastic garments for the remainder of the school year! Call us today on 0114 251 2501 to start the process!